While some new public office holders are in the early stages of settling into their new positions, it is already time to look toward the next election cycle. Candidates for the May 21st school elections may now pick up their applications and signature packets from their county clerk's office. Baxter County and Circuit Clerk Canda Reese says school board candidates need to collect a minimum of 20 verifiable signatures on their petitions. The filing period begins at noon next Wednesday and ends at noon the following Wednesday, Feb. 20th. In Baxter County, there is one seat open in each of the three school districts. In Mountain Home, the Position 6 seat now held by board President Neal Pendergrass will be on the ballot. The seat is for a four-year term. At Cotter, the Position 1 seat now held by Renata Dewey will be on the ballot, and at Norfork the Position 2 seat now held by Levi Woods will be open. Both the Cotter and Norfork seats are for five-year terms. Last year was the first time school elections were held in conjunction with either the primary or the general elections, with the districts having the option to select the time frame. However, this year will be the first time for ballots to be cast on the primary date with it being an off election year. For those seeking to vote in the upcoming school election, April 22nd is an important date to mark on the calendar. That is the deadline to register to vote and also applies to those who have recently moved and need to update their voting record. 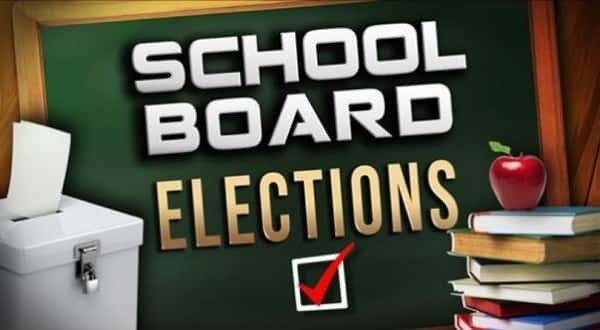 Those with questions about the 2019 school board elections should contact their respective county clerk's office. In Baxter County, the number is 870-425-3475.